Even at a young age, George RR Martin liked to see characters die. Anyone who is familiar with Game of Thrones writer George RR Martin's work knows that he is not afraid to kill off characters, often in quite violent and painful ways. So it will probably come as no surprise that the reason Martin loves Marvel comics is because Marvel also wasn't afraid to kill. Martin said that the events of the ninth issue of The Avengers had stuck with him of many years. "Wonder Man dies in that story. He's a brand new character, he's introduced, and he dies. It was very heart-wrenching. I liked the character, it was a tragic, doomed character. I guess I've responded to tragic, doomed characters ever since I was a high school kid." 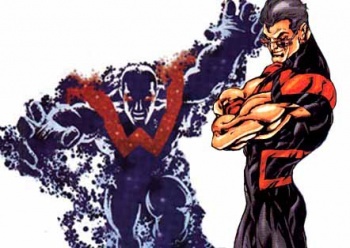 He noted that, as often happens in comic books, Wonder Man didn't stay dead, but said that seeing something actually change - as opposed to the much more static DC Comics - had had a profound effect on him as a young man. "It's hard to understand, I think, from the vantage point of 2011 exactly what was going on in comics back in the early '60s. The Marvel comics ... were really revolutionary for the time. Stan Lee was doing some amazing work," he explained. "Up until then, the dominant comic book had been the DC comics, which at that time were always very circular: Superman or Batman would have an adventure, and at the end of the adventure, they would wind up exactly where they were, and then the next issue would follow the same pattern. Nothing ever changed for the DC characters."